Our dedicated team of experts are constantly innovating ways in which we can offer you more for your needs and happiness. Driven; one word that properly describes Moafaq Al Gaddah, Chairman and Founder of the MAG Group, who has risen from humble beginnings in Syria to lead a multi-billion dollar, all-industry business empire that spans the globe. It’s Moafaq’s unrelenting drive and ambition that has led him to head an organisation of more than 50 companies employing over 2,000 people around the world. His extensive business interests cover the sectors of manufacturing, auto parts, real estate, education, contracting, hospitality, pharmaceuticals, health care, the marine industry and logistics. Proud of what he has been able to accomplish in less than 40 years, Moafaq attributes his success to hard work, perseverance and vision. It is also a result of his incredibly high ethical standards that is fully integrated into group and its stakeholders. Throughout its expansion and movement into new industry sectors, MAG Group has developed a reputation for integrity, transparency and financial probity in all its operations. Over the years, these accomplishments have led to industry recognition in the form of accolades and awards. In 2006, he was named ‘Entrepreneur of the Year’ at the Arabian Business Achievement Awards. He was appointed as the first Ambassador of the Arab Family in 2007 and in the same year was listed in the Top 50 wealthiest Arabs. In 2012, he was ranked 16th in the list of ‘World’s Most Influential Arabs’ and was entered onto the World Finance 100 List. Under Moafaq’s stewardship, MAG Group became a Member of the World Economic Forum 2014 (GGC Membership) – an honour that acknowledged the highest level of management in his company. Moafaq is a Member of the Board Syrian Business Council in the UAE and a Member of the World Economic Forum (Davos) for 2014. Talal Al Gaddah is the CEO of MAG Lifestyle Development, responsible for overseeing the company’s overall direction and its organisational strategy. Heading the organisation’s six departments – finance, project management, sales, marketing, administration and legal – Talal’s leadership and management skills are driving MAG Lifestyle Development to new heights. Talal’s aim is to cement MAG Lifestyle Development’s position as one of the top five real estate developers in the UAE, with the ultimate goal of expanding the company’s already considerable footprint to the Far East, Europe and further afield the USA. Talal’s drive and enthusiasm is underpinned by his extensive background of industry success, much of it attained within the MAG Group. Prior to being appointed to his current role, he was Director of Sales and Marketing at Invest Group Overseas, the property development arm of MAG Group and the sister company for MAG Lifestyle Development. 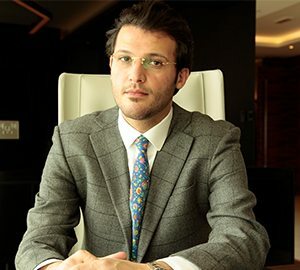 During his tenure, Talal achieved sales of AED 1.5 billion in 12 months through the company’s Polo Townhouses and The Polo Residences in Dubai, UAE. He was also instrumental in opening up new markets including successfully launching The Gate in Frisco City, Texas, USA. The entire Texas development was initiated by Talal and he was responsible for overseeing its every aspect from conception to completion. Talal’s dynamism in his role was enhanced by a year spent learning Leadership in Communication Strategy skills at the renowned UCLA in California, USA, where he was a student from 2011 to 2012. His studies enhanced the Bachelors’ degree in Business he was awarded in the Netherlands in 2007. Mohammed Nimer’s successful establishment of MAG Property Development (MAG PD) in 2003 and his impressive leadership of the company for 10 years led him to be appointed as CEO of MAG Group in 2013. 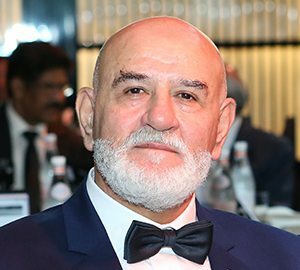 He now heads a Dubai-based empire that spans manufacturing, auto parts, real estate, education, contracting, hospitality, pharmaceuticals, health care and logistics. MAG Group has an extensive overseas reach and there are now MAG offices in China, Turkey, Iraq and USA. Mohammed has the overall responsibility for the initiation, direction and management of MAG Group in all its spheres of interests and range of activities, with his role including corporate governance and liaison with national authorities at the highest level. Effectively steering MAG Group’s operations using his professional expertise and high level of leadership, Mohammed has generated substantial returns and profit margins for the company. By applying his extensive cross-industry knowledge and networking skills, he has been successful in securing some of the most prestigious corporations, deploying their capabilities efficiently to contribute to the company’s development needs. 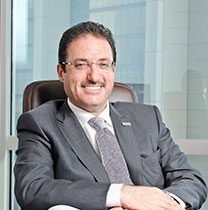 Mohammed has ensured that during his tenure as CEO, MAG Group has furthered its reputation for achieving economic growth in all areas whilst at the same time maintaining quality products and high ethical standards.